Last Thursday, my previous client, Priscilla stood outside a Huntsville Prison awaiting the release of her husband. A little over two years ago, I had married Joe and Priscilla at Sanders Estes Unit in Venus, Texas. Six months ago, Priscilla contacted me regarding planning a Vow Renewal October 2019. Texas has the largest prison system in America, with more than 150,000 prisoners behind bars. The headquarters of the state’s Department of Criminal Justice is in Huntsville, a small, conservative town that’s home to nine state prisons. In the center of Huntsville is the Walls Unit. The oldest prison in Texas, it has gained notoriety in recent years as the location of Texas’ famously-frequent executions. 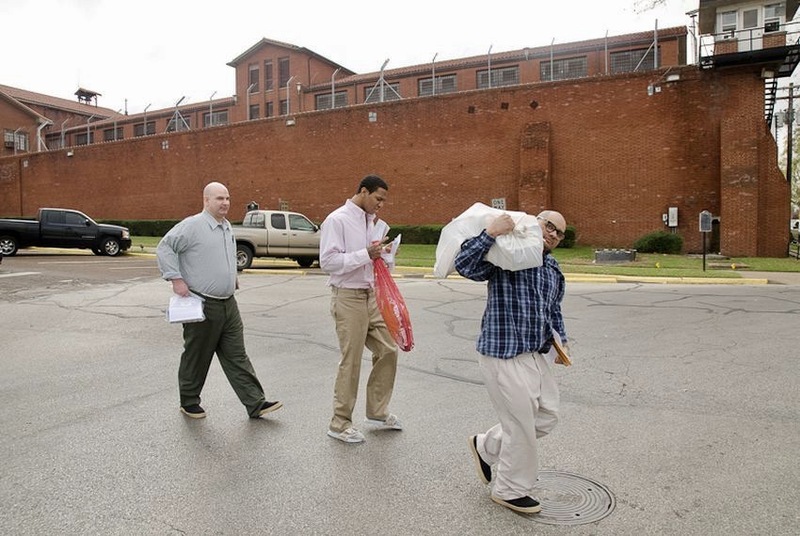 But another, less-known function of the Walls Unit is mustering out the Texas system’s prisoners: every day, more than 150 men are processed, paroled and released. Priscilla’s husband was one of those released inmates. I had three brides that day at Estes Unit and bridal photos following the ceremonies. It was a long day. 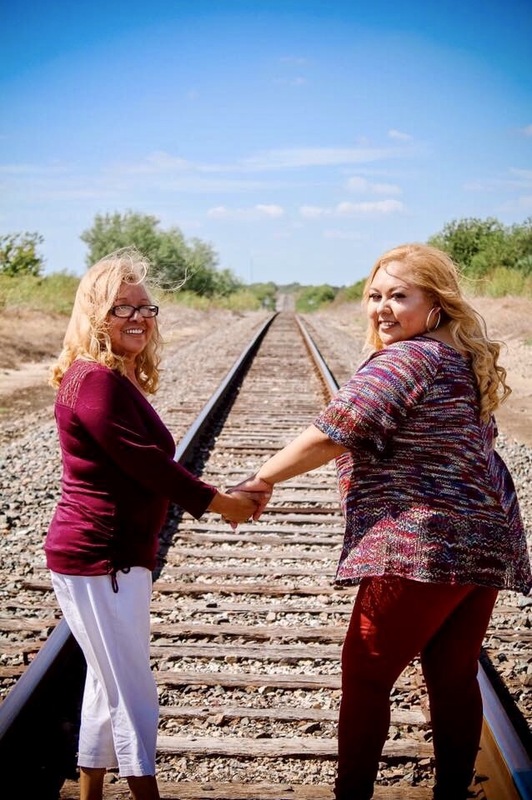 Priscilla brought her mother with her as a guest which is unusual at a Prison Wedding. Guests are almost never allowed. In fact, I’ve only had two occasions where a guest was present at a Prison Wedding and both times were at Estes Unit. Looking back at the day I had officiated the marriage ceremony for Priscilla and Joe, I remember that it was a full day of weddings at Sanders Estes and I was struggling with the pain of a kidney stone that I thought was my appendix. There aren’t any sick days for me officiating Prison Weddings. I had travelled to Estes Unit knowing that I would go to the ER upon my return to Fort Worth. What I thought was appendicitis would turn out to be a kidney infection with two stones causing me more pain than I have ever experienced in my life. But, I was still managing to hold it together throughout a day of weddings and photo shoots with all of my Estes brides. I have a high tolerance of pain. In fact, I even joined Priscilla and her mom for lunch after their photo shoot but, hours later, I was at Harris Hospital. 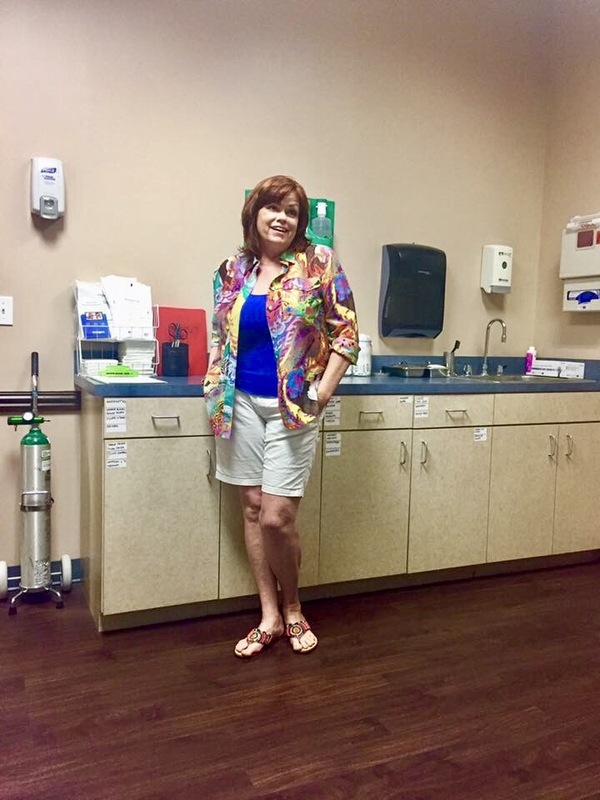 My twin sister, Cindy met me at the ER and took photos for her usual “FB updates.” I had changed clothes after leaving Venus, Texas and for a few moments was without stabbing, jarring pain. The pain would come back though. My weekend was spent in and out of the ER. If you’ve never had a kidney stone, be thankful. Two days later, due to my rigid schedule, I flew to California to film This Time Next Year with my twin sister, Cindy. 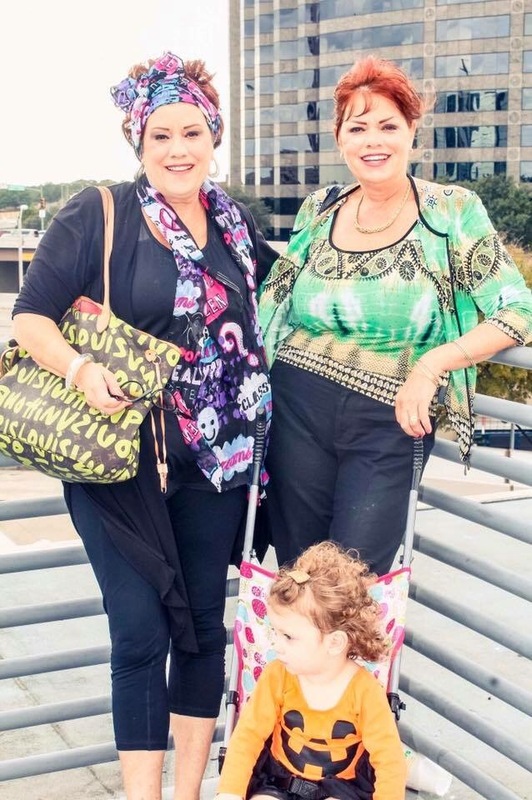 We brought my niece and grandniece with us and although I was still in a bit of pain, Cindy and I managed to get through filming and enjoy our trip. 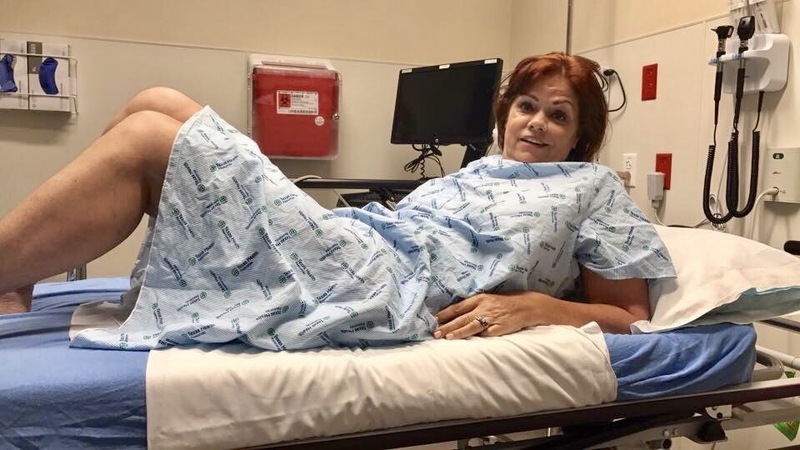 Priscilla, like many of my other clients became a FB friend and was shocked that a few hours after her wedding I had been in the ER. I’ve followed all of her visits to Joe and we kept up with one another. 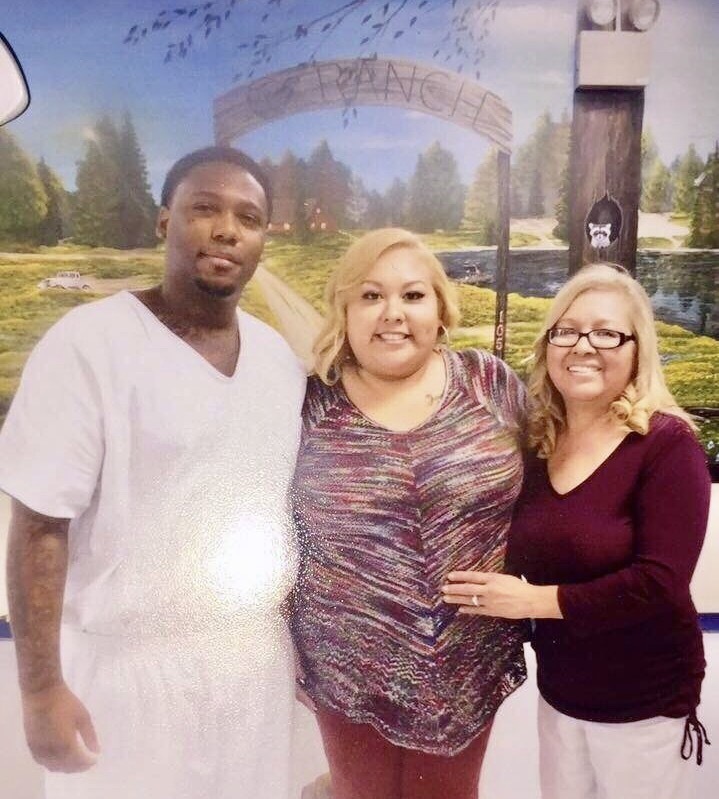 My TDCJ Clients become friends for life. I share their journey. Being sick or in pain didn’t disrupt my schedule. 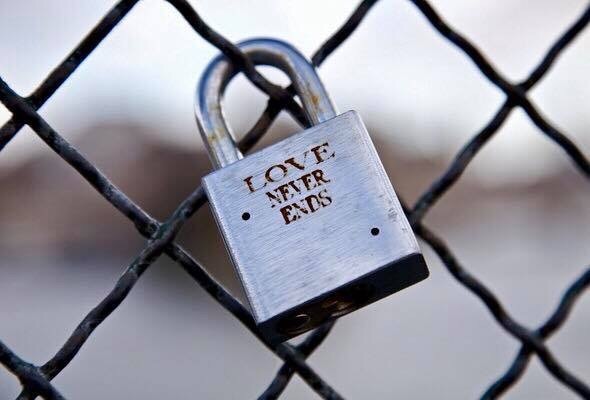 In fact, nothing does. No matter what is going on in my personal life, I show up ready to go to work. 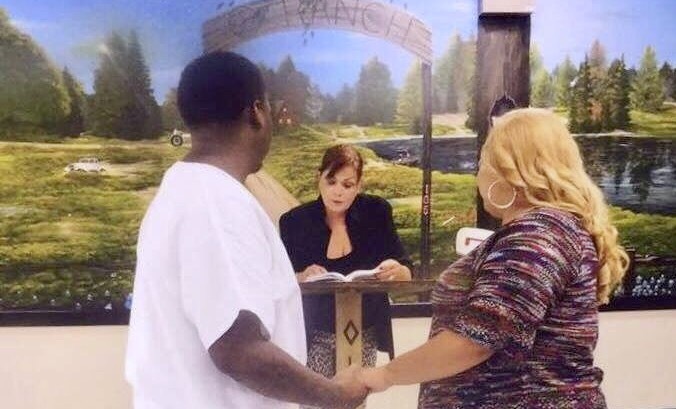 Priscilla and Joe had taken marriage classes while he was an inmate. These classes prepare couples for their lives together. Priscilla really enjoyed the classes and the opportunity to share learning with Joe. 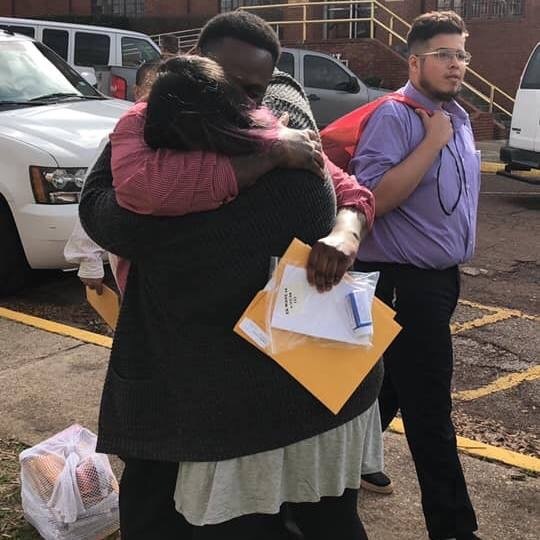 The Walls Unit isn’t normally a location for celebration but, for families awaiting the release of their loved ones, the environment becomes celebratory with many loved ones taking videos and selfies. 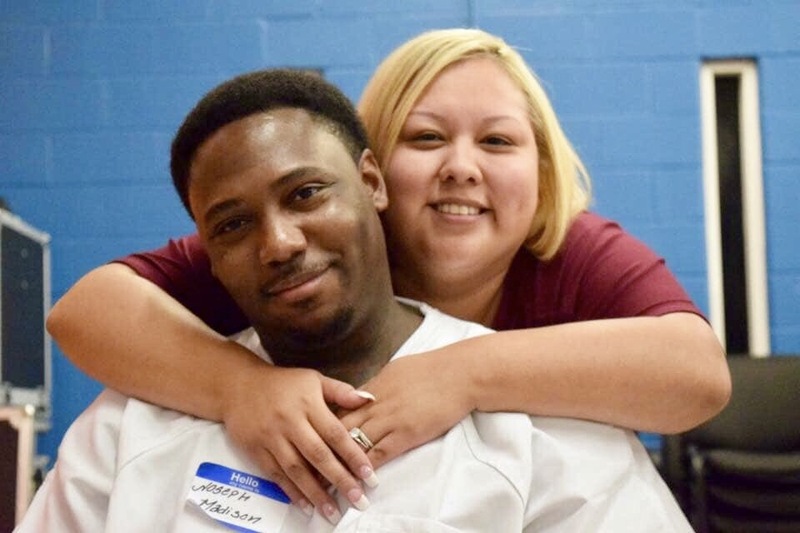 Releases mark the end of prison visits and expensive phone calls for loved ones. Releases also mark the beginning of life beyond Prison walls. 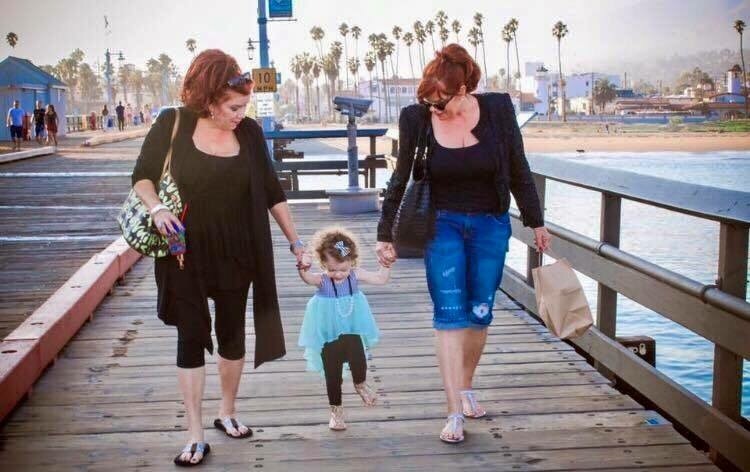 I’m happy that Priscilla found her happily ever after and looking forward to seeing her again in October….